we haven’t celebrated turkey day yet, but already i feel like i’m behind for christmas! ha! how is that possible!? the only thing i have going for me is that we’ve written down our gift list and thanks to online shopping it should be pretty easy to check everything off. i anticipate however, that my children will still be telling me about a new item on their wish list about every 5 minutes from now until christmas eve. as fun and cute as it is to see them so excited it also gets annoying. in a hurry. the solution? 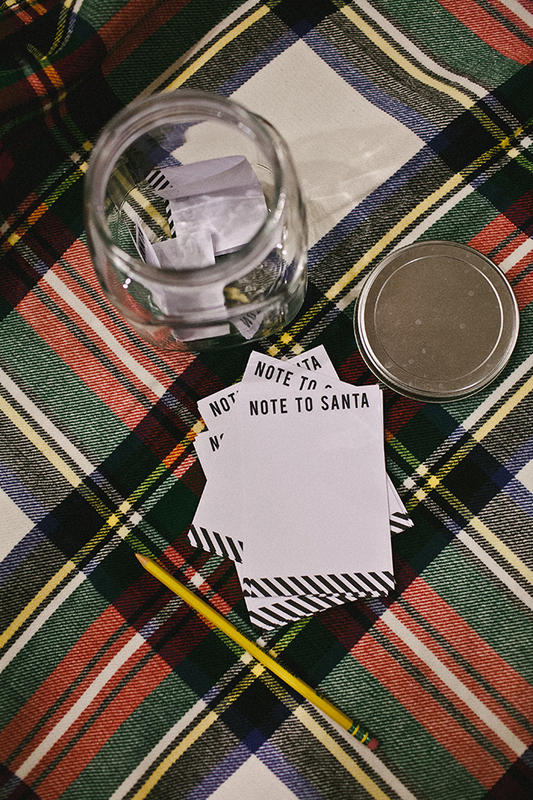 i made some notes so they can tell santa all about it, either in words or drawing, and set out a jar to collect them all until they are “sent” to the north pole. fingers crossed, it works like a charm and if you want to give it a try there is a link below to download! truth be told, we don’t focus too much on the man in the red suit during christmas, but he does make a really good scapegoat. we’re also getting santa pictures taken this year for the first time since espen (now 8) was a baby (can’t wait to share!). how much santa is involved in your christmas merry making?